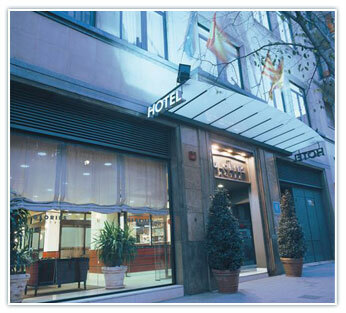 Hotel Glories is situated in C/Padilla in Barcelona, between Avenida Diagonal and Gran Via. Our main focus is making sure our guests receive the best possible care. All rooms are fully equipped. The hotel is nearby many major sights such as the Auditorio concert hall and the National Theatre of Catalonia, the Sagrada Familia cathedral, the "Les Glòries" shopping center and the Agbar Tower. Public transportation is easily accessible. Parking is also available for our hotel guests.